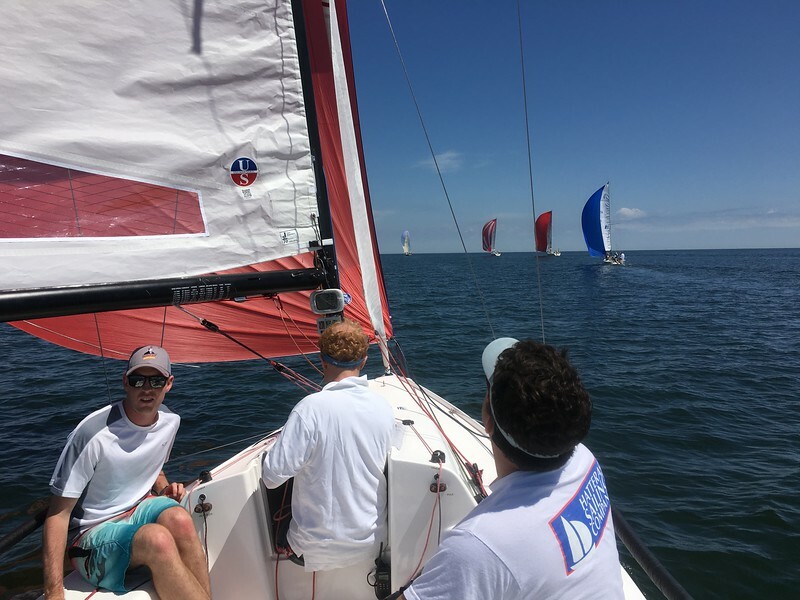 It took a while to get out on the J/70 for the first time this year and it was a great day for it at the Fishing Bay Yacht Club Offshore Spring Series #3. Onboard today were Andrew, Evan and Nathan and there were 3 other J/70s in the fleet among the 20 other boats out racing. Saturday started light WNW around 6-8 and built to the 10-13 by the end of the 3rd race. We had good boat speed up wind, played most of the shifts well and went 2-1-2. On most of the downwinds Ron Thompson sailing Nostalgia put on a clinic and either pulled ahead if he was ahead or caught up if he was behind. 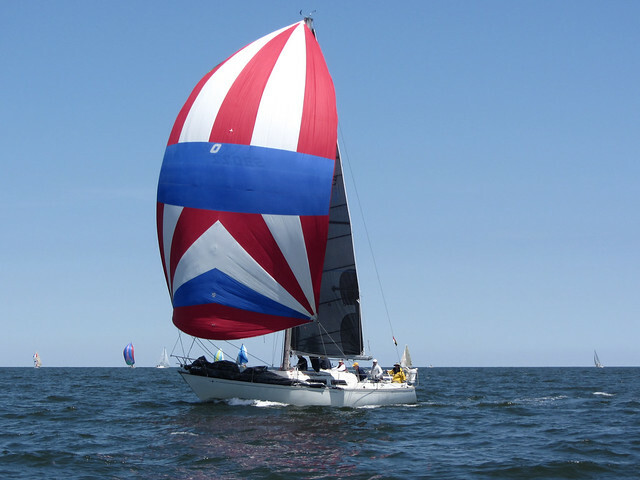 The next day we realized we had the spinnaker rigged wrong and wasn’t getting it to full hoist. All in all a great first day back in the boat and excited to continue the season this spring. 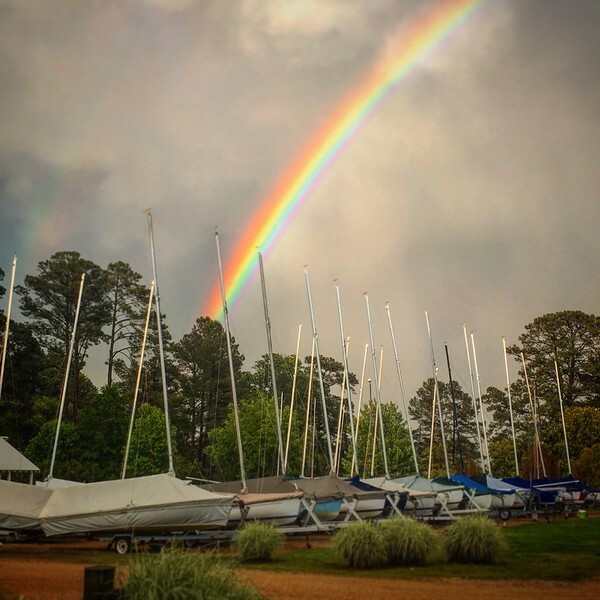 Following racing we were hanging around the club as it rained and cleared and we were treated to a beautiful rainbow. 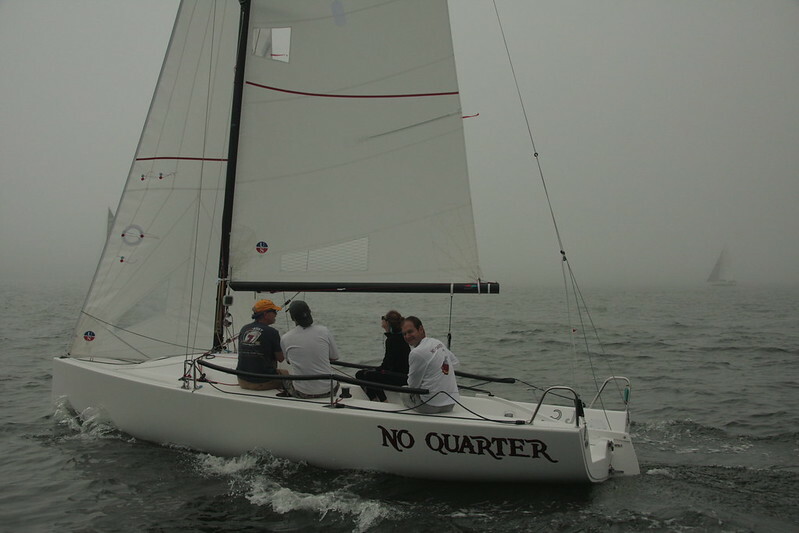 This was the 3rd day of racing for No Quarter in FBYC’s Spring Series. There was a little wind – and a LOT of fog. In the first race we had a good start – in fact it was too good and we were over early and had to dip and restart. Inevitable was punched out and never looked back. We closely trailed E.L.E. all the way around and settled for 3rd of the five J/70s. 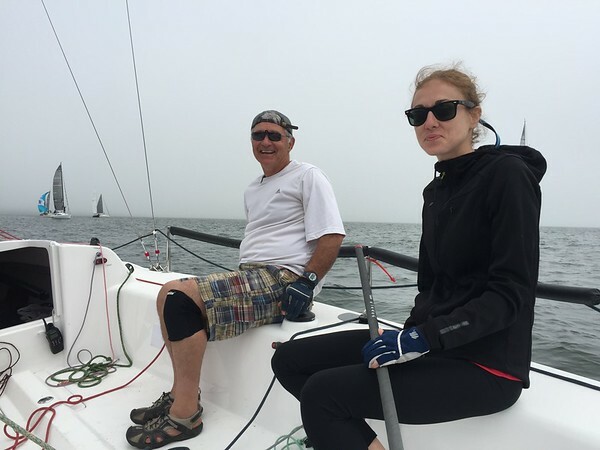 This was Ron and Katie’s first time on a J/70 and they settled in pretty well learning the location of everything and the coordination. Unlike the first race where the fog lifted enough to see most of the course – the fog came in and got pretty dense just as we were starting the 2nd race. 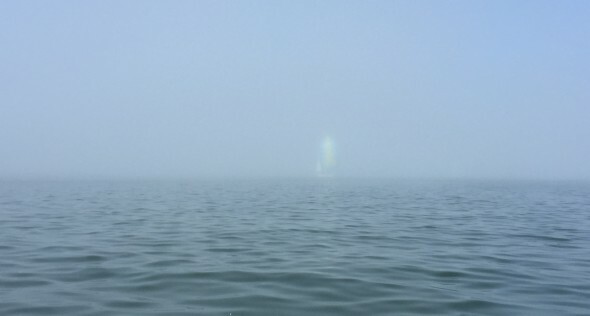 Upwind we had a feel for where the mark would be and just stayed in the center of the course – keeping an eye on the bigger boats that had electronics and watching them ghost in and out of the fog bank. We were lucky to find the top mark pretty easily. 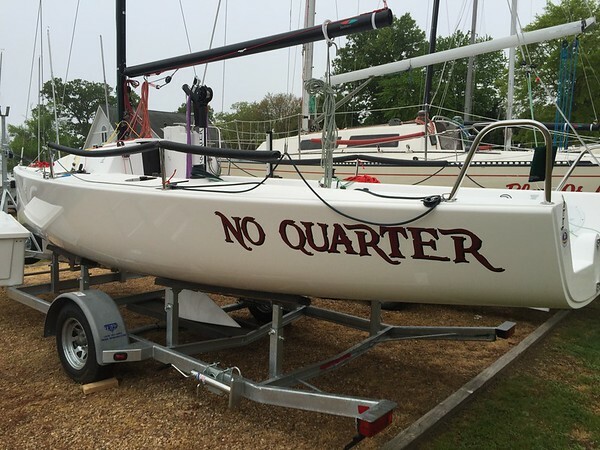 We weren’t so lucky in finding the leeward mark. We ended up missing it by 3/4 mile to the east and ended up sailing almost a mile past it before the RC finally radioed a location for us to beat back to. By the time we found the leeward mark – the J/70 that had stayed on the course was just about finishing and were racing one other boat right next to us. The other two retired. 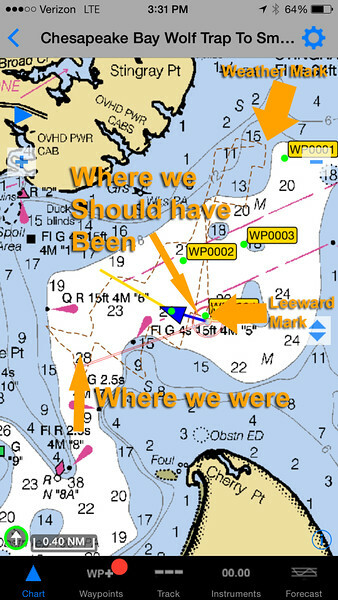 We persevered thanks to having chart plotting software on my iPhone. 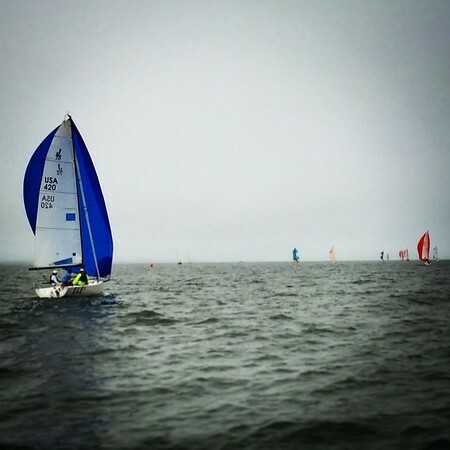 Even with the fog it was still pretty good sailing conditions and definitely made it more fun by adding a navigational element to a 1.25nm buoy race. Today turned out to be an absolutely beautiful day for racing. 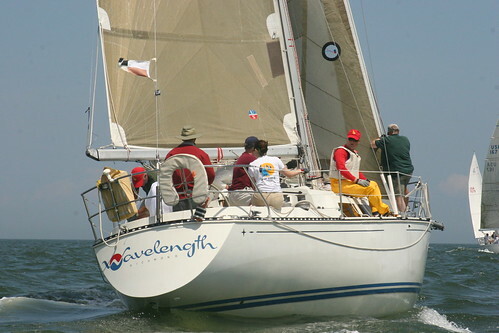 With 22 boats in 4 classes we had great racing aboard Wavelength in the 5-boat PHRF-A fleet in the 2nd of the Spring Series at Fishing Bay Yacht Club. The wind started around 16-19 and was in the lower end of that range for the first race with mostly sunny skies and temperatures in the 60’s. The wind started from the North East and by the end of the day had gone a few degrees further east. 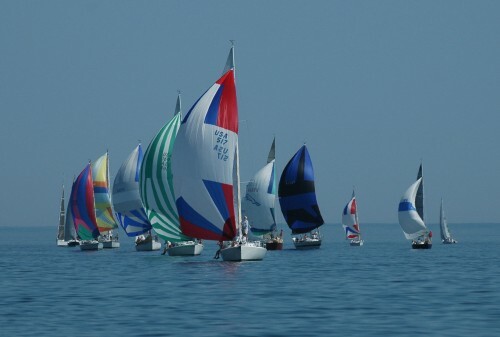 The first race was a single windward-leward 1.25nm. We had a great start and just worked our way up the left side. With the general trend of the wind going right – there were still nice lifts on the left and more importantly some relief from the currant. We did well to stay with the fleet, be efficient around the course and not make any mistakes. Being the slowest boat in the fleet handicap-wise we were 2nd at the finish and less than a minute behind Double Eagle on corrected time and took 2nd place. The second race was 2 laps and went similarly to the first race. We had good speed, went the right way and didn’t make any mistakes. Again we were the 2nd A boat over the line and corrected to 2nd. For the 3rd race, another 2 lap race, we started well, rounded the top mark in 3rd and had good speed downwind. We rounded right behind Nanuq and while everyone else went back to the left that had worked so well all day, we ended up going right. That paid off when we got a 20-degree righty and found ourselves on the layline and rounding a short distance behind Double Eagle. Our downwind went well and we held on to correct out 15 seconds ahead of Double Eagle winning the last race of the day and solidifying 2nd place overall. We couldn’t have asked for better weather and it is so great to out racing again this spring! 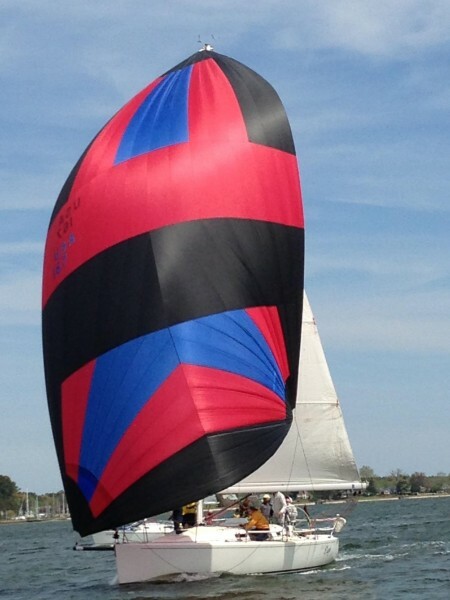 This was the 2nd day of the Spring Series at Fishing Bay Yacht Club and I got to helm the J109 Double Eagle to two 2nd place finishes in the 6-boat fleet. With winds in the low 20’s the fleet was racing a 1.04 mile leg in the Piankatank up into Fishing Bay. Anytime the wind is out of the North in there it’s very shifty which made driving challenging. In the first race we trailed Afterthought all the way around the course. They were shorthanded and sailed downwind without a shoot, but made good enough VMG that we had to stay in good pressure with a kite up to make up on them. On the 2nd downwind we picked it right and were able to nip them at the line. Unfortunately Nanuq was too close behind and was able to correct over us. In the 2nd race we were a bit late at the start and were just never able to really make up the deficit to challenge Afterthought and wound up with another 2nd. I just want to thank Sam Mitchener for the opportunity to drive Double Eagle and wish his family the best and am sorry he wasn’t able to sail with us today. Photo courtesy of Carrie Russell. 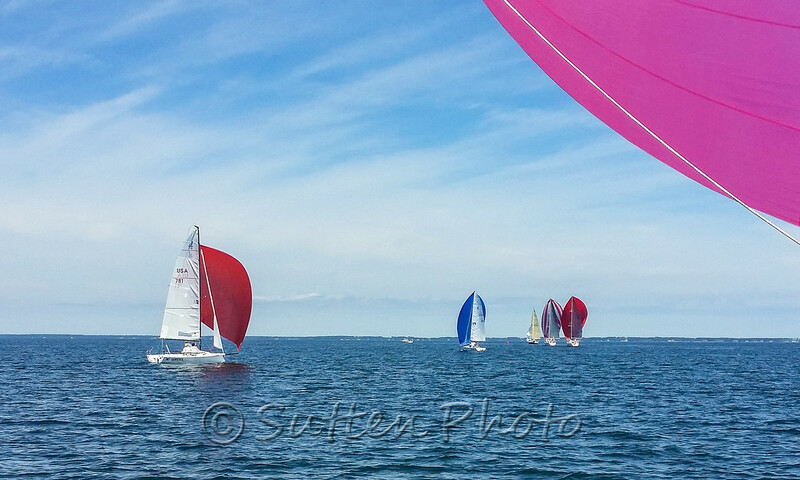 Saturday was a beautiful day for racing and Wavelength had a great day at Fishing Bay Yacht Club’s Offshore Spring Series #2. We had good boat speed, good crew work and manged to go 3-2-1-4 in 4 races putting us into 3rd overall for the series. Results. 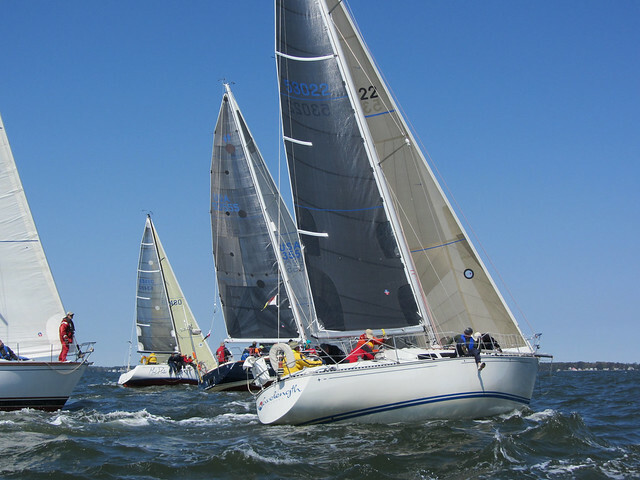 This weekend I got out to help with Race Committee and photograph the Fishing Bay Yacht Club Offshore Spring Series #2. The complete collection of photos can be found here.